The Rodda Candy Co. originally made Peeps until 1953, when Sam Born’s son Bob acquired the firm and mechanized the production process, boosting output and allowing the candy to go national. 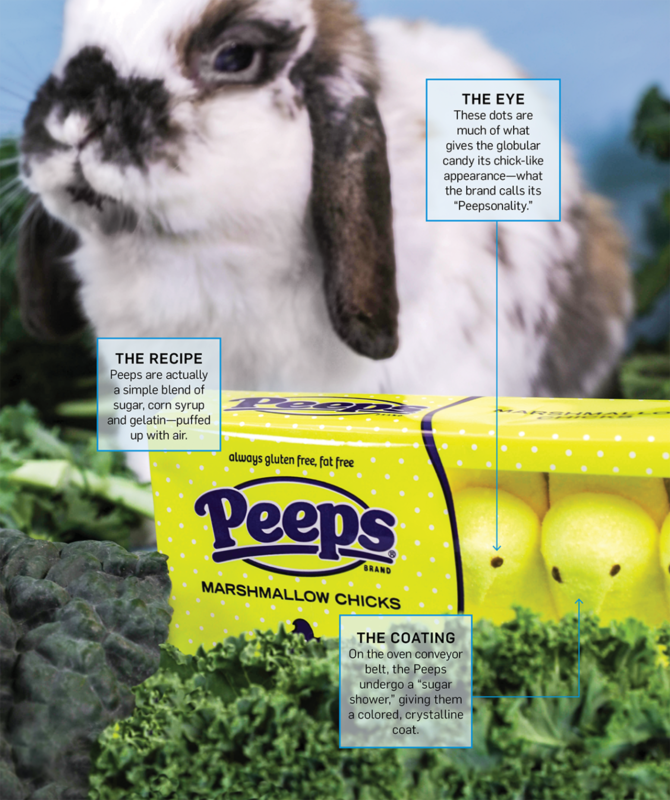 Though chicks have always been the best-selling variety of Peeps, the company makes a wide variety of shapes, including bunnies. Russian immigrant Sam Born set up a candy factory in Bethlehem, Pa., in 1932.